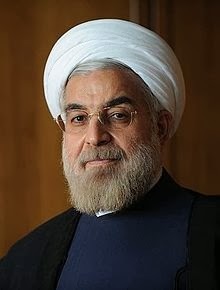 Obama must be under the spell of Iran's President Rouhani's smile. On Thursday, his administration has asked Congress to hold off on starting any new sanctions against Iran. He things negotiators need flexibility in talks to get Iran to comply with demands that it must prove its nuclear program is peaceful. Does anyone in this whole world really think they are on a peaceful path with their uranium? Come on now. Everything they are doing points to developing speedily an atomic bomb.
" Israel's opinion through Yadlin is that we should not let Rouhani drag talks out for 2 years and then realize that he deceived us, and that we don't have military option on the table anymore." "Yadlin is anxious to see a good deal that will stop the Iranian capability to produce nuclear weapons. If negotiations fail, then there will be legitimacy to take preventative action to stop Iran." Jen Psaki, State Department spokeswoman, said that a pause "would be helpful" in gaining flexibility while seeing if negotiations will move forward. They had asked for a pause in the past, as well. More sanctions can always be added later if the Iranians fail to show reason of peaceful intent. None are being lifted that are already in place. Rouhani is in fact a radical Iranian speaking for the regime but he doesn't set the rules. He wants to reach an agreement because the sanctions are hurting his country and are in the way of their basic goal to produce atomic weapons. "If the Iranians get the sanctions lifted now, they will never stop the nuclear program. Lifting the sanctions should be only an end result, when Iran will answer fully to the UN Security Council demands. The important thing is the deal itself and what it entails. Meanwhile, Reza Olangian, a Californian with dual USA-Iran citizenship, was arrested in Estonia in October 2012 and brought to New York on federal charges because he tried to buy surface to air missiles for Iran, beating the sanctions. In 2007 he was actively engaged in buying missiles for Iran. They were the SAMs. This Friday a multicount indictment was unsealed of conspiring to get weapons and violating the International Emergency Economic Powers Act. He said that both times he had been working for the Iranian government. 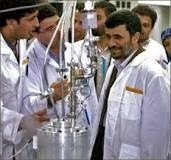 Israel has been watching Iran for years, ever since they started acquiring uranium and building a plant. Their former defense-intelligence chief, Amos Yadlin, is with Netanyahu on Israel's decisions about Iran. They have two choices; to live with an Iran with an A bomb or bombing their source to building it. He's with the Prime Minister on the bombing. Israel is such a small country. The Iranian ex-president, Rafsanjani said in 2001 that Israel is a one-bomb country and that a proud Iranian or Islamic nation can absorb 2 or 3 bombs. But the real problem is that if Iran gets the bomb, then all the other Middle Eastern countries will have to have this capability as well. Nuclear weapons in terrorist hands will be a nuclear nightmare. The whole Middle East is against an Iran with an Atom Bomb. He sees something happening at the end of this year, which is about here, or the beginning of 2014. It's that close. Yes, Israel can handle the necessary steps to be taken. They don't need the USA, but it would certainly be nice if they were together on this. Yes, they are prepared for repercussions from Iran. Israel has been patiently waiting for a change of heart from Iran as they are in a" zone of immunity." This means that there is a time when Israel can achieve their goal and if they wait too long they won't be able to do so. It will be too late. Yadlin said that the leading factor in deciding Israel's next move "is the negotiations and the parameters of any future deal. Their decision may not be an attack or not. It might be just leaving the problem to Obama to solve, a decision to live with a problematic deal, or a decision to live with the bomb, with all its ramifications." Because of this change in the White House in working to stop congress from siding with Netanyahu on Iran, Senators are concerned that there will be an easing of sanctions on Iran to facilitate talks. Congress has been leading the way to tighten sanctions on Iran. The first round of talks ended last week. The chief negotiator, Wendy Sherman, is the one calming their fears. Negotiators, such as Wendy, had praised Iran's supposed flexibility. Republican Senators are ready to impose more sanctions on them and Marco Rubio drafted a new resolution against Iran, saying that they cannot be trusted. He pointed out that Tehran has disregarded previous international agreements and that they need to take a firm stand about the nuclear capabilities Iran will be permitted to keep.